Think about what your teeth mean to you. They add so much to your life! On a practical level, their chewing power allows you to enjoy a variety of foods. On a social level, they make your smile shine and increase your confidence. Even from a scientific perspective, your natural teeth’s durability and functionality are astounding. Dental Bridges: Dental bridges are an excellent way to restore the aesthetics of your smile if you are missing teeth. Dental bridges utilize the strength and stability of your surrounding teeth or dental implants to bridge the gap of a missing tooth or teeth with an artificial tooth or teeth. Because it is anchored to natural teeth or dental implants, a dental bridge provides both a stable and comfortable solution to missing teeth. 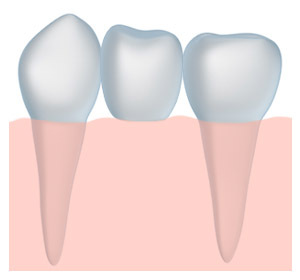 Dental Crowns: A dental crown replaces your damaged natural tooth crown (the visible portion of your tooth). This means that your natural tooth root is preserved along with giving you a beautiful tooth crown to complement your surrounding teeth. Dental crowns can also be supported by dental implants as an alternative to a dental bridge. Dental Fillings: Fillings preserve the integrity of a previously infected tooth and protect your tooth from further decay. We offer attractive tooth-colored fillings to restore your tooth while still preserving the aesthetic integrity of your smile. Root Canals: A root canal removes infected tooth pulp from the core of your tooth that causes toothaches. Tooth pulp helps your teeth grow and is therefore no longer needed when teeth reach mature size. At our Lafayette, CO dentist office near Boulder, preserving your natural teeth is our priority. If you have questions about restorative dentistry, especially if you feel Dr. West could help you restore your teeth and smile to their ideal state, call our office today!